Real estate and investment firm Rowsley – whose major shareholder is billionaire Peter Lim – announced today (Sept 22) that it will convert its Vantage Bay township in Iskandar Malaysia into a healthcare city. The decision was made after the oversupply residential segment depressed sentiment and caused the firm to postpone its project launch. The integrated development project was first proposed in 2012 but was never launched. While the company can wait for market conditions in Iskandar to improve as it owns the freehold land that Vantage Bay sits on, chief executive Lock Wai Han said switching plans to develop a healthcare city there will bring in “strong recurring income flow in the near term” for the firm. “The new plans will invigorate Vantage Bay and lead to a strong recurring income flow in the near term, whilst we expect the valuation of the strategically-located freehold land to appreciate over the longer term along with the strengthening of the Johor economy and the growth of its population,” Mr Lock said. The project, Vantage Bay Healthcare City, will comprise approximately 500,000sqmin gross floor area. Its gross development value is estimated to be RM5 billion. The healthcare city will house facilities such as hospitals, a medical training centre, long-term care facilities and urban wellness resorts. 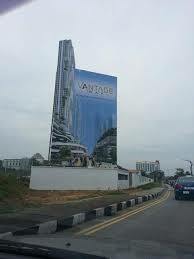 Thomson Iskandar by Thomson Medical Centre – also owned by Mr Peter Lim – is situated on an adjacent site to Vantage Bay. Mr Lock said that there are “positive long term prospects” of the health and wellness sector given the ageing population in Malaysia and Singapore. He noted that the Malaysian government is also promoting medical tourism in the country which Rowsley’s healthcare city can leverage on. Mr Lock added that the company is in talks with several healthcare service providers to be strategic investors and partners for the project’s various components. He estimated the project to be completed over the next 10 years in various phases.